This is a personalized and a private cremation where your pet is cremated alone. Some pet owners love the idea of having their pet's remains returned home to them. K-911 will make your pets final journey a memorable one. We can now provide a 24/7 assistance for you and your pet in the event your companion passes away day or night. We are there for you and your pet from an emergency care to the afterlife. With one phone call, all your pet's needs will be taken care of 24/7. You will never be alone in the event your pet passes away day or night. K-911 will return your pet home on the next 3-5 business days guaranteed. Our prices are competitive from that of your Vet or any other crematory, so let K-911 take care of your needs as well as your pets needs in the event of him/her passing away. Included is this service is your choice of a ceramic urn or a wooden ecological urn. If you're not satisfied with the urn, you can always upgrade your urn at any time by using the K-911's Urn Catalogue in PDF format. All pets are always treated with dignity & respect throughout the whole process and throughout their journey with K-911, classical music is played in all of the K-911's animal ambulance's as a celebration of their life in respect for your pet and we would not want anything less for our own pets. 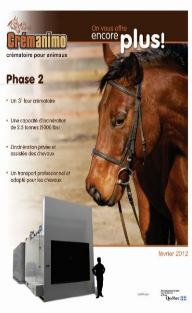 An Assisted cremation - Where you and your family members can witness your pet's final journey and you can leave with his/her remains at the same time. 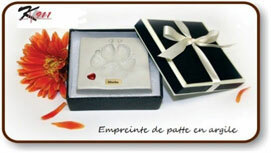 A recorded version on CD made available to you in the event you would like to witness your pet's final journey. K-911 provides a 24/7 assistance for you and your pet in the event you're companion passes away day or night. 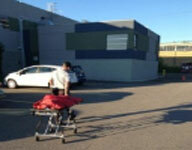 We are there for you and your pet, from an animal ambulance care to your pets afterlife care. With one phone call, all your pet's needs will be taken care of 24/7. You will never be alone in the event your pet passes away day or night. as peace of mind knowing that your pet's final journey will be taken care of. This service is available for pet owners who do not wish for a private cremation and would just simply want the remains removed immediately. Each person is different and some love to have their pets ashes returned to them, while others believe that it may be too painful. K-911's deceased pet removal is all included into one. We take care of the transport; we gently remove your pet's remains by use of a stretcher, or pet blanket and you're pet will be given a group cremation with no ashes returned. All pets are always treated with dignity & respect throughout the whole process and throughout their journey with K-911, classical music is played in the all the K-911's animal ambulance as a celebration of their life in respect for your pet and we would not want anything less for our own pets. Your pet will be cremated together with other pets and once the process is complete, the remaining ashes are then scattered over our crematory's garden. You deal directly with K-911 from start to finish. Let K-911's deceased pet removal be your pet's final journey and have him/her leave with dignity the same way they came into your life. Ask us about our commemorative paw print. 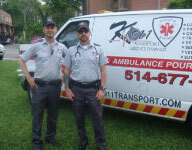 Copyright 2010 - K-911 Ambulance All rights Reserverd.